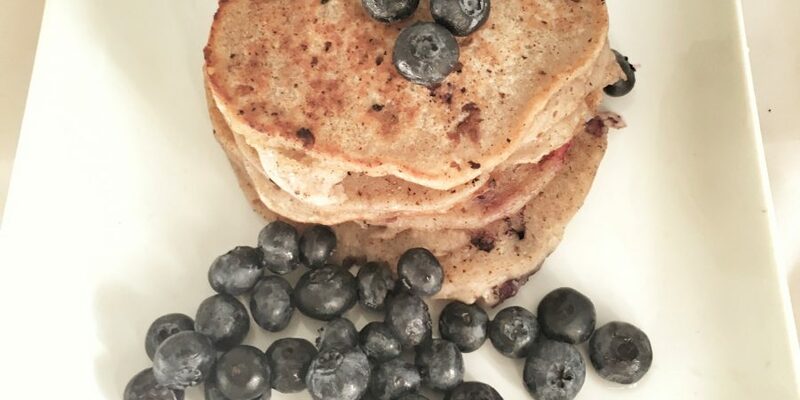 This vegan blueberry pancakes recipe is delicious and a lot healthier than most pancake recipes. As mentioned in other posts, I absolutely love eating pancakes on the weekend for breakfast. It’s something I’ve been doing since I was a child. My favorite being my banana pancakes recipe. 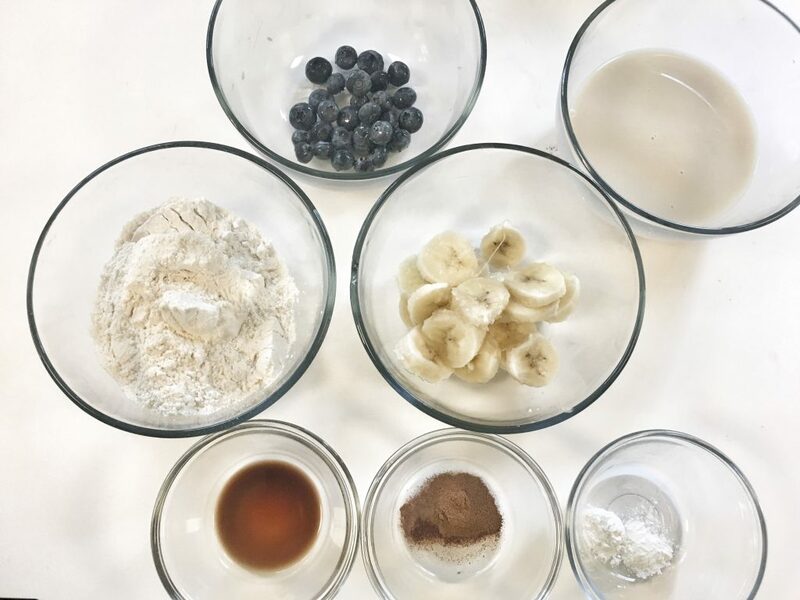 As I’m currently on a quest to eat healthier in life, a friend challenged me to try the vegan blueberry pancake recipe that she uses for her family. The recipe is from the Love and Lemon website. 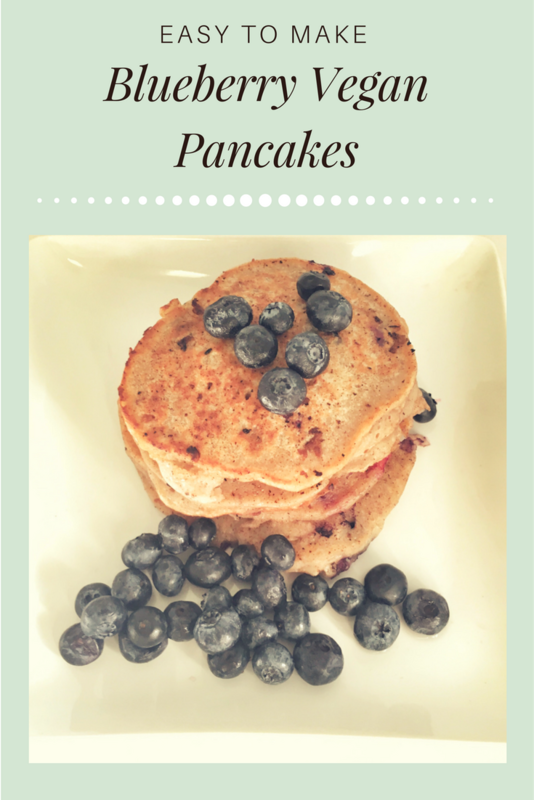 This recipe is nice because it is dairy free and has no added sugar like most pancake recipes. 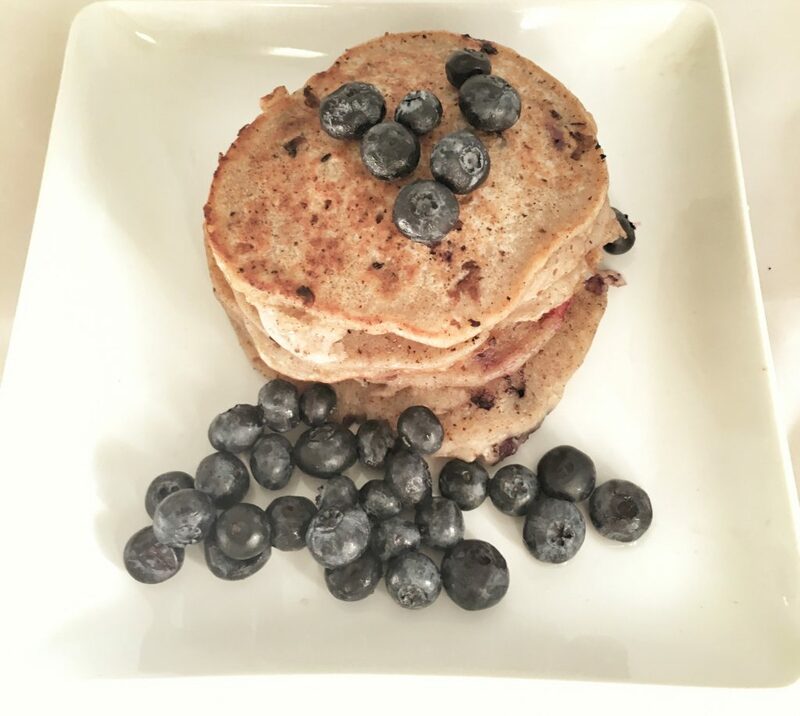 The vegan blueberry pancakes are sweetened by the banana that is blended and added to it. In the past, I’ve made vegan pancakes that were sweetened with apple sauce, this was my first time using a banana as a sweetener. Another nice thing about this recipe is that the texture for this vegan pancake versus a pancake with eggs is about the same. You can use all-purpose or whole wheat flour and if you want to really cut back on your sugar intake you can skip the maple syrup all together and eat them plain. The pancake recipe below makes enough to serve 2 people. Make sure to double the recipe if you need more pancakes. 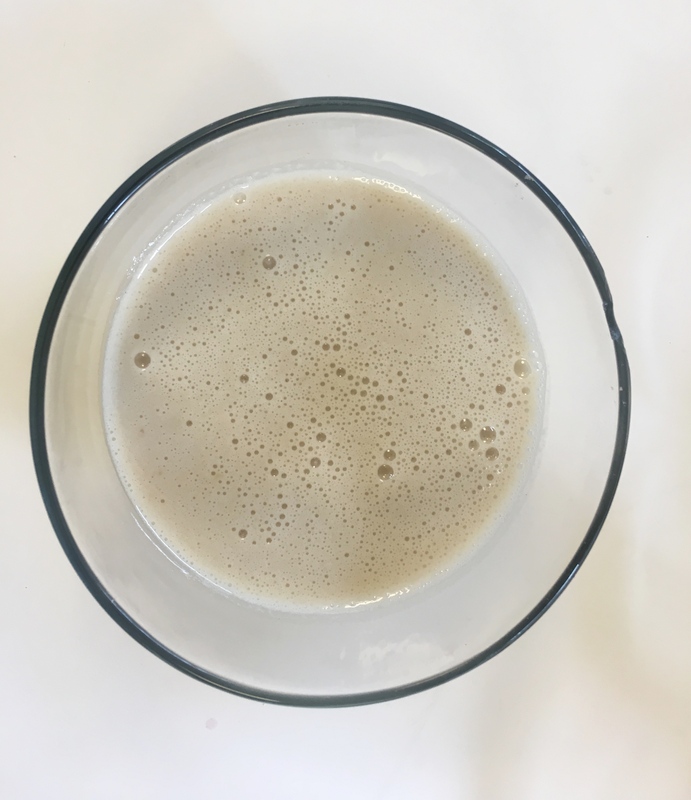 Blend banana, vanilla, and almond milk in a mixer. Set aside. Combine dry ingredients in a bowl. 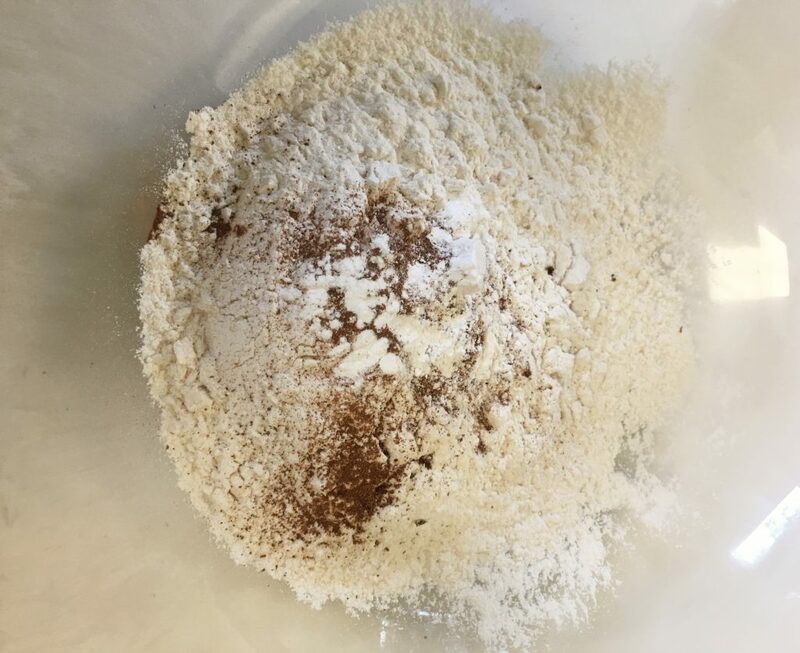 Mix together flour, cinnamon, and baking powder. Add the banana mixture to the dry mixture. Stir together. Heat pan or griddle with oil. Using a 1/4 cup scoop, scoop the batter onto a heated pan. Cook until bubbles form, about 1 to 2 minutes on each side. What’s your favorite pancake recipe? Do you have a vegan pancake recipe that you love to make? Please share yours.